Record stores don’t generally struggle to cultivate a hipster image. By their very nature, as shrines to a bygone era before Drake and downloads ruined everything, they tend to attract those seeking something a little bit different. 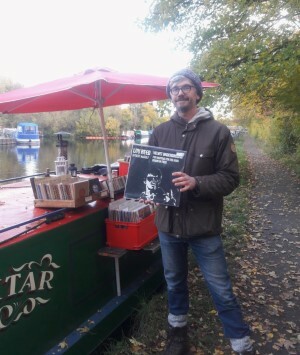 But Luke Guilford goes one step edgier, vending his vinyls from a canal boat on riverbanks across southern England. 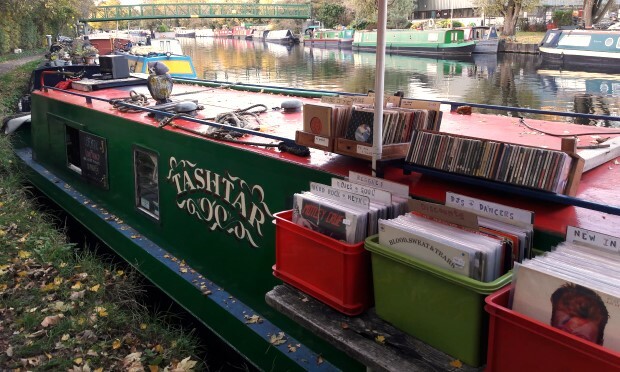 After a month of repairs, The Record Deck – the UK’s only floating record shop – is back in business and moored on the River Lea in Springfield for the winter season. The shop stocks everything from Hank Williams to Chas & Dave’s Christmas Knees Up – Guilford says he likes to “have a little bit of everything” in his 1,000-strong collection. Springfield is a favourite spot of Guilford’s as a winter base, returning with his shop for the fourth year. While such a weather-dependent livelihood can be tough, Guilford finds innovative ways to make it work, including hosting a new Sunday session at the local rowing club and travelling to markets and fetes when he can. “I live like a king in August anyway!” he jokes. Regular customer Jeremy Clarke appreciates The Record Deck’s quirks.